(2018). New Left Review. 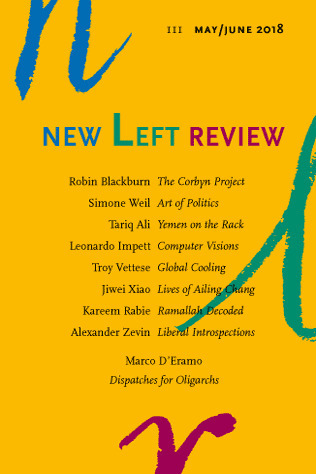 New Left Review. New Left Review, 2018. 159 pages. "on Max Tegmark, Life 3.0. Symptomatic preview of a machine-run world from a mathematical cosmologist."